Elvis Presley was an American rock & roll singer born in 1935. He is considered by many to be one of the most influential artists of the twentieth century. Known as the King of Rock `n` Roll, he was an inspiration for many musicians of various musical styles. He was an actor, starring in many films. Today, his image continues to be a gold mine. According to RCA and BMG, Elvis has sold over 1 billion albums. Vote and help decide which albums were the greatest. 4 Elvis Presley - Elvis for Everyone! 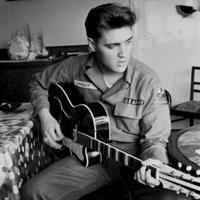 5 Elvis Presley - Elvis Is Back! 7 Elvis Presley - Girls! Girls! Girls!